A customer's experience (CX) when contacting a company’s call center can be the differentiator between continued business and deciding to switch to a competitor. A positive experience can lead to a purchase—with 73% of buyers pointing to CX as an important factor in purchasing decisions—while a negative experience can lead to high turnover. There’s a reason why a Walker Study predicts that by 2020, customer experience is expected to overtake price and product as the key brand differentiator. 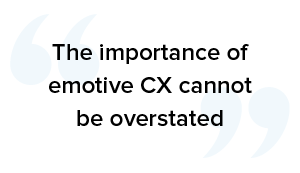 So, it should be no surprise that companies have come around to realizing that CX is an important criterion for success. The problem is understanding exactly what needs to happen to improve CX in call centers. With Gartner predicting that by 2019 more than 50% of organizations will redirect their investments toward customer experience innovations, how do you ensure you direct your investments correctly? Here are seven steps you need to take, if you want to know how to improve the customer experience in call centers. 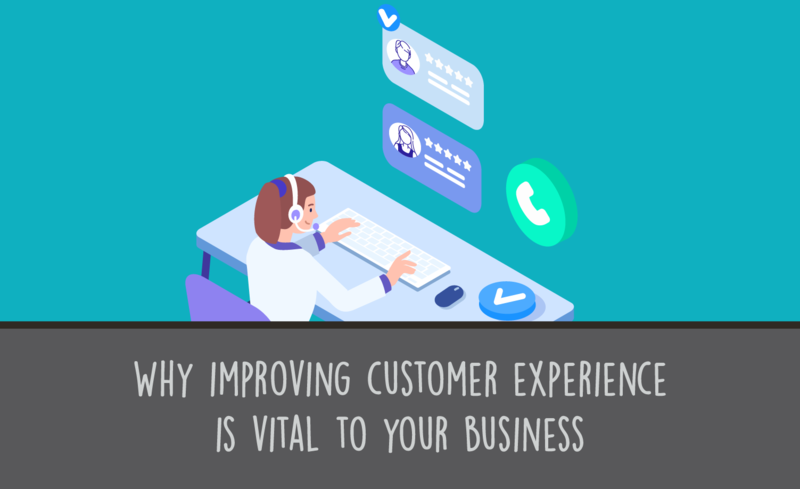 There is always room for the improvement of CX in call centers with a myriad of different touch points where a customer connects with your brand. At each point, there’s something you can do to enhance your call center customer experience. The key is taking it a step at a time. Your sales team probably already knows a lot about your customers, including their demographics and expectations. But to take it a step further, your call center customer service team needs to know your clients personally. Put a face on your customer by creating a persona that allows your call center team to envision exactly who they are communicating with, day in and day out. The more detailed, the better! Suddenly, your customer is a real person. CX in call centers improves the quality of information you know about your customer. A customer at different stages in the sales cycle will interact with your customer service team in different ways. If you want to know how to improve the customer experience in your call center, then you need to interact with your clients in a way that is based upon where they are in their journey. For example, a new customer who’s just been introduced to your brand should receive a more generic and generally welcoming greeting, versus someone who has already purchased from you. Their interaction should be much more personalized and specific to their needs. With the help of CRMs, your team should be able to pinpoint a customer’s journey and respond appropriately. The idea is to help your team quickly and easily recognize how to approach every client. The importance of emotive CX cannot be overstated. Customers want to interact with and purchase from brands that share their values, care about what they want, and understand who they are. This requires your call center team to develop emotional intelligence for connection with callers. You want to create emotional connections that make the CX in call centers as positive as possible. Simplicity is best. Clients want one-click checkouts, instant communication, next-day shipping, fast service, and they expect the same simplicity from their CX in call centers. Customers want to know that you’re listening to their wants and needs. The best way to do this is to ask for their feedback and to open up a dialogue about what they like and don’t like about your brand, call center, and customer service representatives. Think about asking your customers to fill out a short survey after every interaction or end every call with a question about how you did and what they would improve for next time. The more you know about the current CX in your call centers, the better. Your team is your most valuable asset when it comes to how to improve the call center customer experience. How your team is trained to handle clients will determine how they respond to your brand. Make sure you have proper onboarding set up as well as ongoing training for your customer service team. And don’t be afraid to think outside the box. You can deliver training online using multimedia material, through quizzes, and through personal one-on-one attention. 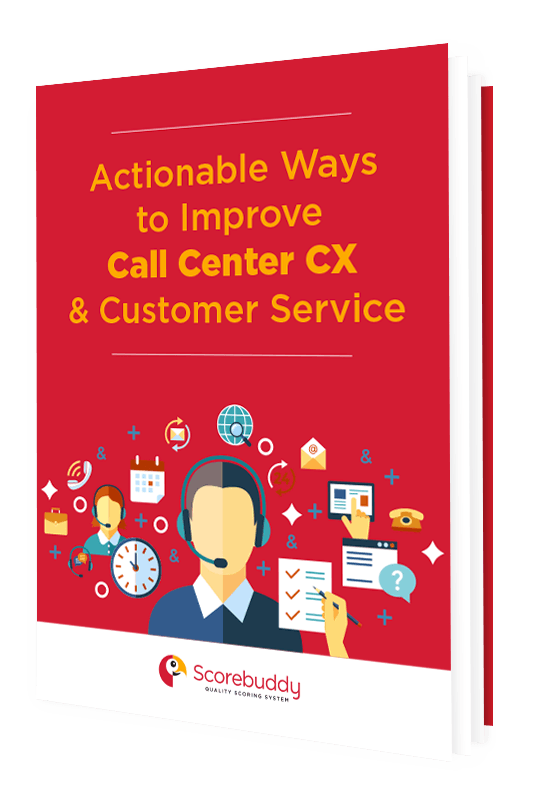 To improve CX in call centers you may need to change where and when you interact with your customers. A phone call might not be the best channel for every client. Instead, consider engaging with your customers on their channels of choice—whether that’s through email, social media, or blog comments—and be sure to follow the rules of the platform to use the right voice and tone. 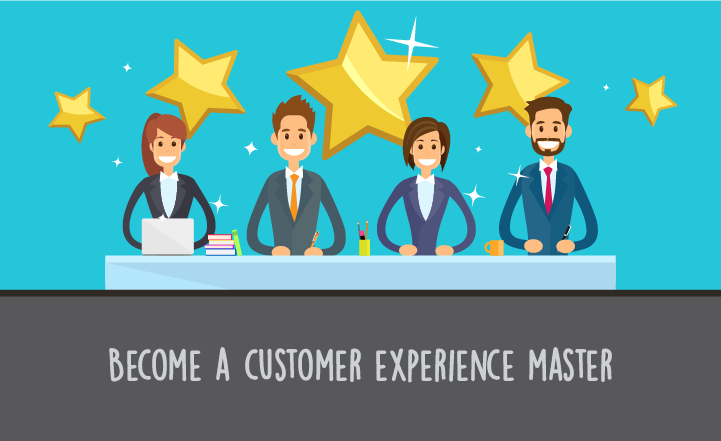 If you want to know how to improve the customer experience in a call center, you need to pay close attention to your customer and how and where they interact your brand. It’s the intersection of both, that makes the biggest difference. Instead of leaving CX in call centers to chance, take active measures to improve and give your company the best opportunity for success. To find out more about how to improve call center CX and QA, request a Free Trial of Scorebuddy’s solution - build from the ground up for contact center QA and improving the call center experience.